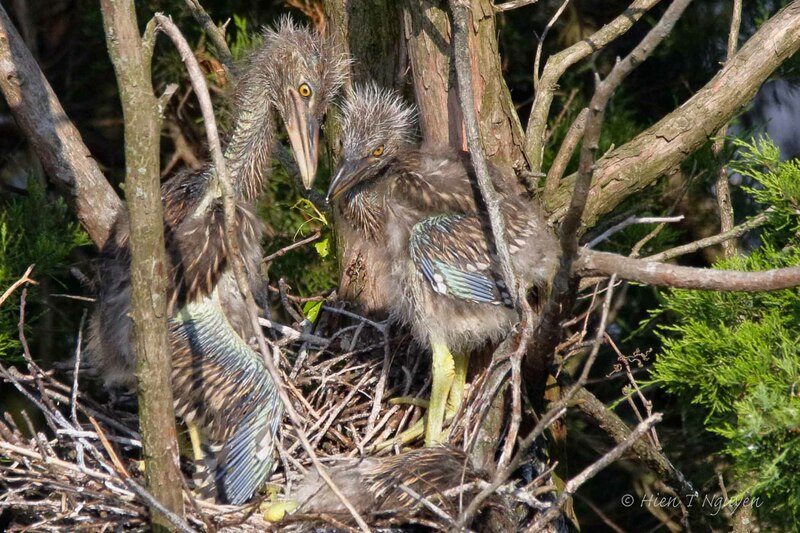 Yesterday the rookery next to Ocean City Welcome Center was very busy, with photographers and birds. The former brought their long lenses firmly anchored to bulky tripods, or to study arms. The latter, especially the younger ones, were up to their natural feistiness. I tried to shoot a few bird-in-flight pictures, but ended up discarding most of them. Below is one of the better images. 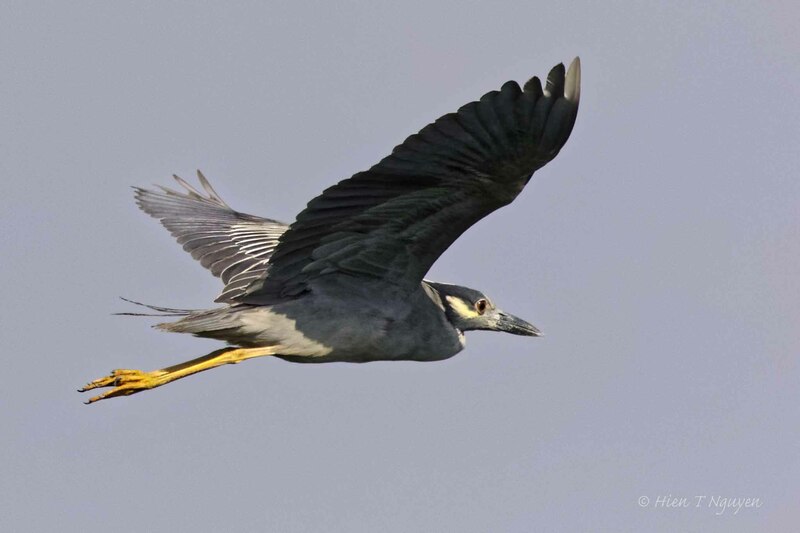 Yellow-crowned Night Heron in flight. 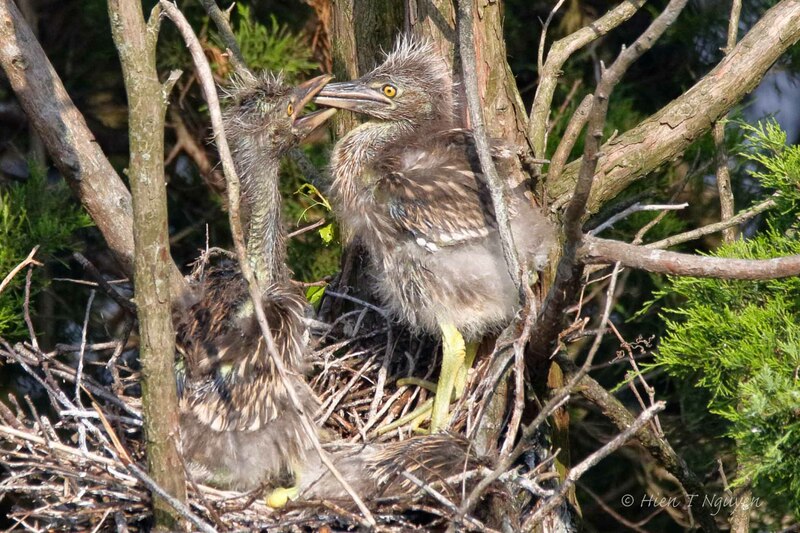 Young Yellow-crowned Night Herons. I don’t know why the one on the right was showing his throat. The one on the left promptly responded. Sometimes, birds are just like humans. Except that we can’t fly. Do you use a tripod? The photo of the bird in flight is excellent. A tripod is almost required for these kinds of photos because of the long lens I used. But I’ve seen people with even longer and heavier lenses who did not use a tripod. Great photos! 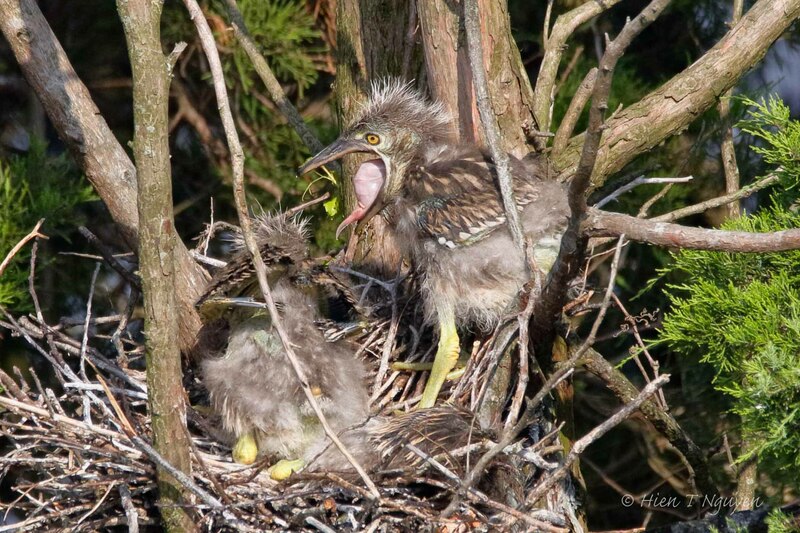 I wonder if the heat has something to do with the way that the young birds are behaving, birds have a difficult time staying cool when it’s very hot. Now that you mention it, temperatures were climbing into the 90’s at the time. Maybe that young one had to open its bill to try and regulate its internal temperature. Thank you for commenting Jerry! Ha! I am laughing so hard at those last two photos! They are a riot. 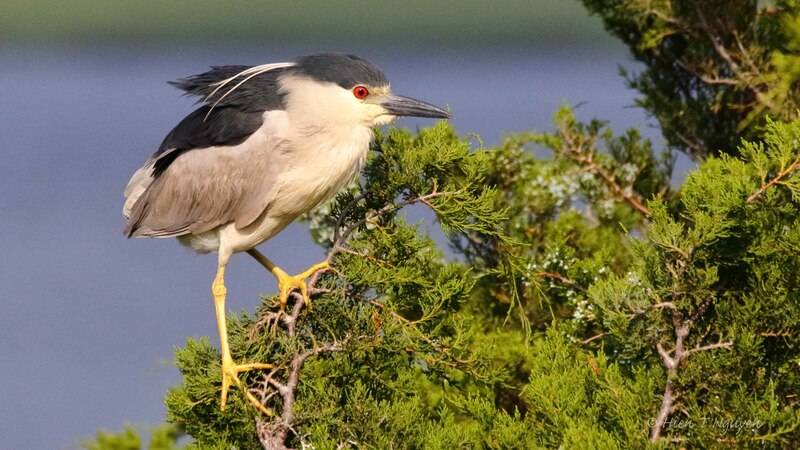 That throat indeed, from such a small heron!